CHESTERFIELD COUNTY FARMERS MARKET – 3 p.m. – 6 p.m. Chesterfield County Government Complex on Mimms Loop. CHESTER PICKLEBALL. Goyne Park. Ecoff Ave. Each Thursday. 9 a.m. – 11 a.m. Play will be at the tennis courts located behind the baseball field. 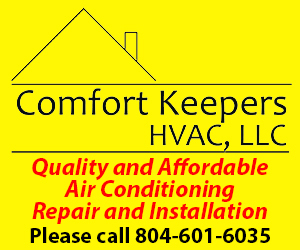 Questions or info, call 804-712-9113. SUMMER THURSDAYS FOOD COURT – 5:30 p.m. – 8:30 p.m.St. Ann Catholic Church, Jeff Davis Highway and Harrowgate Road. Details: 526 – 2548 or visit www.stanncc.com. FISHING FUNDAMENTALS. Pocahontas State Park boat dock. 3 p.m. – 4 p.m. Staff will teach you all the basics you’ll need to know to get yourself started with one of their most popular outdoor activities, from tying on your hook and tackle to casting your line. Equipment provided. 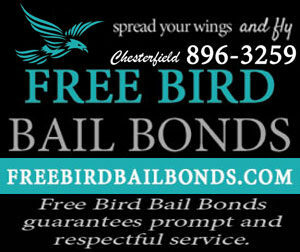 10301 State Park Rd., Chesterfield, Phone: 804-796-4255. THE SCIENCE TELLERS: SUPER HEROES – Throw on your lab coat and get ready to experience forces and reactions through several exciting, hands-on experiments that will have you laughing, learning and having fun. Enjoy this spectacular adventure and be swept away to a place where ‘super’ heroes really do exist. Recommended for kids in kindergarten through fifth grade. Registration is required and began June 27. Meadowdale Library. 10:30 a.m. – 11:30 a.m. Central Library 1:30 p.m. – 2:30 p.m.
WOOD’S UMC FARMERS MARKET – 8:30 a.m. – Noon. Wood’s United Methodist Church, 7200 Hickory Rd. S. Chesterfield. ART EXHIBIT AND RECEPTION: BURST OF COLOR BY EUGENE VANGO. This collection of acrylics reflects Eugene Vango’s interest in African art and culture. Vango received his BS in Art Education in 1966 from Virginia State University. Opening reception Chester Library 3 p.m. – 4:30 p.m. This exhibit is on view Tuesday, July 7 through Saturday, August 29. Chester Farmer’s Market – 8:30 to 1:00 at Chester Village Green. MEET THE TREES HIKE. Pocahontas State Park boat dock.2:30 p.m. Starting at the footbridge by the boat dock, join staff in a 2.25 mile guided hike through the forest exploration trail. Learn about the different types of trees. Weather permitting. The park has events scheduled throughout the day each week this summer. Visit www.dcr.virginia.gov/state-parks/pochontas.shtml for more information. RESUME REVIEW – Review and update your resume with assistance from the Resource Workforce Center. Bring your own laptop or call to reserve one. Completed resumes will be printed on high quality paper. Registration is required and began June 29. Meadowdale Library. 10 a.m. – 12 p.m. GOING TO THE ZOO – Animal stories come to life in this interactive program. Sing along, play instruments, and act out the story. Recommended for preschoolers. Registration is required and began two weeks prior to the date of each program. Chester Library. 10:30 a.m. 0 11:15 a.m.
TOOTHBRUSH ROBOT BUILD – Do you want to build your own moving robot? Try out simple robotics using a toothbrush, a battery and a small motor. Recommended for kids 8-12 years old. Please register only the child who will participate in the class. Parents do not need to register. Enon Library. 12 p.m. – 2 p.m.
COMMITTEE ON THE FUTURE – Advises the Board of Supervisors on possible changes in governmental structure, revisions to fiscal and land use planning and other matters relating to the future provision of services to County citizens. Lane Ramsey Administration Building, Room 502, 9901 Lori Road, Chesterfield. 5:30 p.m. – 7:30 p.m. THE SCIENCE TELLERS: SUPER HEROES – Throw on your lab coat and get ready to experience forces and reactions through several exciting, hands-on experiments that will have you laughing, learning and having fun. Enjoy this spectacular adventure and be swept away to a place where ‘super’ heroes really do exist. Recommended for kids in kindergarten through fifth grade. Registration is required and began June 27. Enon Library. 10:30 a.m. – 11:30 a.m. Chester Library 1:30 p.m. – 2:30 p.m. Ettrick-Matoaca Library 3:30 p.m. -4:30 p.m.
ANCESTRY.COM – GET STARTED AT CCPL – Discover the world’s largest online family history resource. Learn how to trace your family tree using U.S. Census records, city directories, and marriage, birth, death and military service records. Basic computer skills are required. Registration is required and begins two weeks prior to the date of each class. Central LIbrary. 10:30 a.m. – 11:30 a.m.